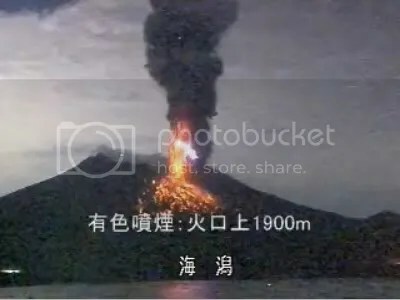 Posted by admin in volcano images, volcanoes. If you are a volcano photographer you may be interested in Volcano Picture Of the Week, a new project by Richard Roscoe (of Photovolcanica). 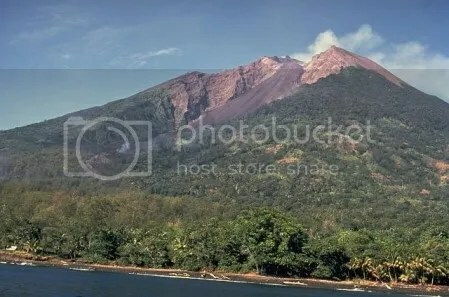 VPOW is a non-commercial website for presenting high quality volcano photographs. Submissions are invited from interested photographers, and one image will be selected for presentation each week (on the model of the popular and much-admired Astronomy Picture of the Day). 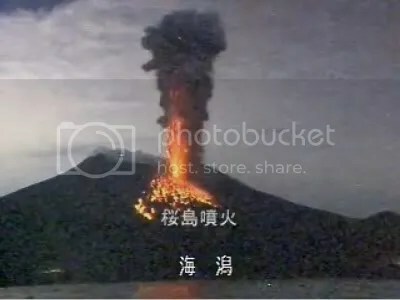 Visit the site for further information, and to see great volcano pictures in the archive. Posted by admin in Guatemala, Pacaya. Over at Mountain Beltway Callan Bentley has posted some great images of Pacaya, one of the most active volcanoes of Guatemala. A friend of his climbed the volcano (she didn’t go right to the top, ‘just high enough to get up close and personal with some lava’) and took pictures on the way – the climb being facilitated by still-warm ‘lava stairs’. The results can be seen on Callan’s blog: Pacaya Volcano, Guatemala. There is also a link to more pictures at Flickr. Strongly recommended for all lovers of lava. 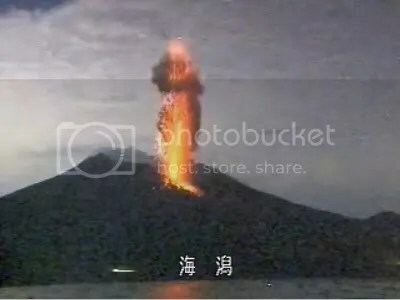 Posted by admin in eruptions, Japan, Sakura-jima. Here’s some serious volcanic lightning. 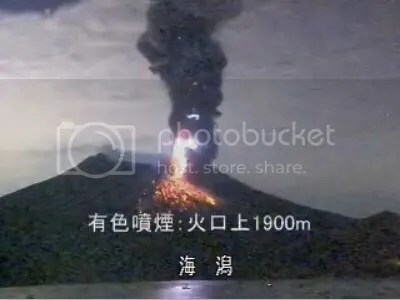 As reported in this week’s SI/USGS Weekly Volcanic Activity Report, Sakura-jima volcano in southern Japan – always highly-active – erupted spectacularly on 8 February, producing lava fountaining up to 1 km in height, showering its flanks with incandescent material, and throwing up a very dense ash plume positively pulsating with lightning. There’s a great video at Kago-net showing all this activity, and I can’t resist showcasing some captures from that video here. 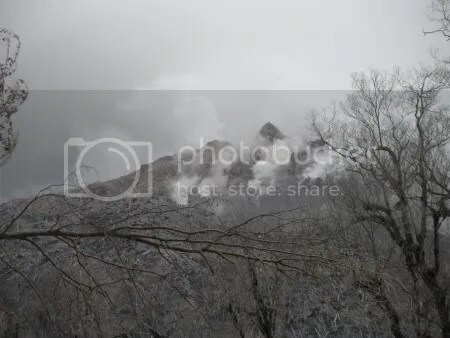 Posted by admin in Caribbean, Soufrière Hills, volcano images. 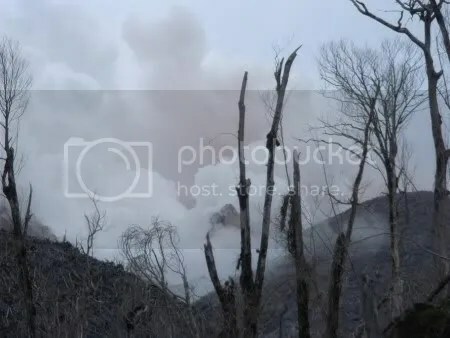 Over at the wonderful volcanism site Stromboli Online there is extensive photo documentation of recent activity at Soufrière Hills volcano in Montserrat. 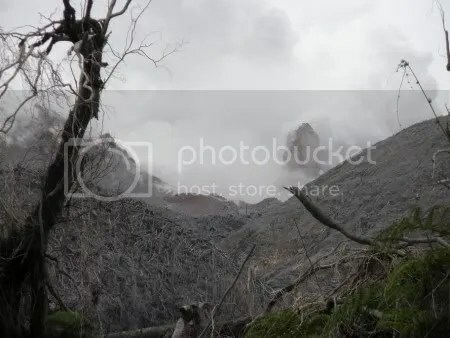 The images, which show ash venting, pyroclastic flows, rockfalls and more at Soufrière Hills, form a spectacular and informative visual record of one of the most dramatic and interesting of current eruptions. UPDATE. 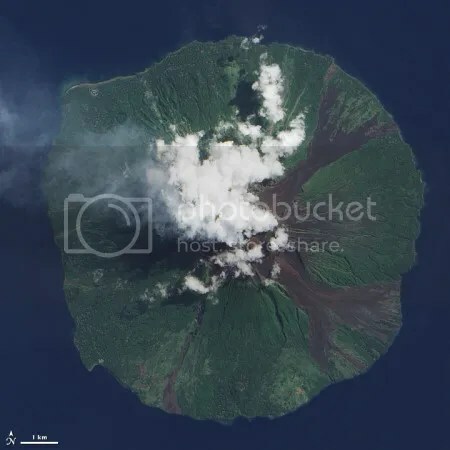 More sensational Soufrière Hills imagery – our friends at Activolcans have posted a comment below recommending Thorsten Boeckel’s site, where there are more great photographs of activity on Montserrat (and elsewhere). For all our Soufrière Hills coverage: Soufrière Hills « The Volcanism Blog. Posted by admin in Caribbean, NASA Earth Observatory, Soufrière Hills. Image of the day for 7 January 2010 at the NASA Earth Observatory is this view of Soufrière Hills volcano on the Caribbean island of Montserrat, captured by the Advanced Land Imager (ALI) aboard NASA’s Earth Observing-1 (EO-1) satellite on 29 December 2009. 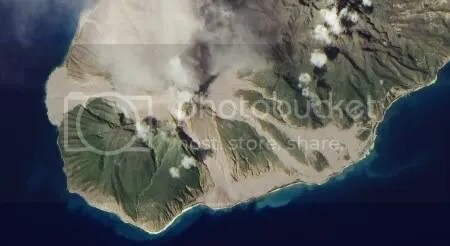 The image clearly shows how the deposits from the debris flows radiating out from the summit of Soufrière Hills have descended the major drainage channels in the flanks of the volcano and filled them with volcanic deposits. North is to the right in this image; the prominent debris fan in the middle of the southern coast (on the left) is formed by volcanic material deposited by pyroclastic flows that have followed the channel of the White River Valley. Posted by admin in volcano images. 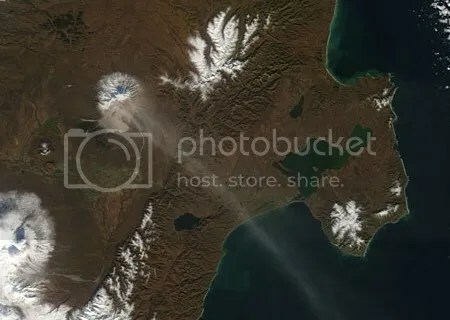 Wired.com have a very nice new gallery up today: erupting volcanoes on Earth as seen from space. Ten superb images are featured, including Sarychev Peak in 2009, Redoubt in 2009, Etna in 2002, Chaitén in 2008 and Shiveluch in 2004 (above). Posted by admin in Manam, NASA Earth Observatory, natural hazards, Papua New Guinea. The island may look small but more than 9000 people originally lived there. 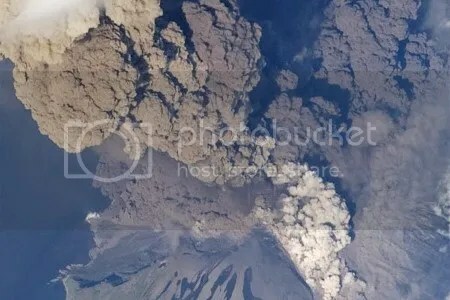 They were evacuated when the current eruption of the volcano began in October 2004 – for a very interesting article on the evacuation and its lingering consequences, see ‘The Social Ramifications of Volcanism’ at Dr Erik Klemetti’s Eruptions blog. Posted by admin in NASA Earth Observatory, Russia, Sarychev Peak, volcano images. 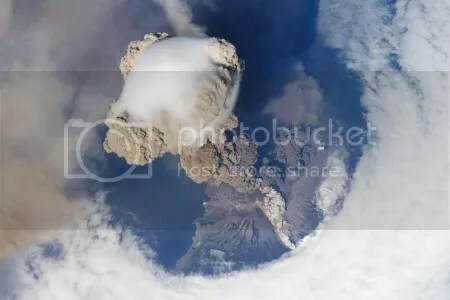 The people at the NASA Earth Observatory have been doing a wonderful job of covering the current eruption at Sarychev Peak in the Kuril Islands, but they have really excelled themselves with their latest image: this stunning astronaut photograph of the volcano taken from the International Space Station on 12 June 2009, at an early stage of this eruption. There’s so much of interest to talk about here: the dark ashy plume punching upwards through the atmosphere almost vertically (little shearing wind at this stage), the pileus or cap of white cloud atop the plume, the pyroclastic flows ringing the volcano’s peak, and the neat circle in the surrounding cloud that has been the focus of much discussion among commenters over at Eruptions. Mostly, though, one just wants to sit back and look at this picture and go ‘WOW’. The original (un-rotated and un-cropped) image can be found at the Gateway to Astronaut Photography of the Earth. UPDATE: The image above is just one of thirty pictures of the eruption taken from the International Space Station. Boris Behncke has submitted a very helpful comment explaining how to get hold of all of them via the Gateway to Astronaut Photography: check out his comment below for the instructions. FURTHER UPDATE (25 June 2009): This dramatic image has achieved very wide coverage across the media since the NASA Earth Observatory featured it, and the ‘circle in the clouds’ around the eruption column in particular has attracted a lot of comment and debate. At the original Earth Observatory page for the image an editorial comment has been added summarizing the different interpretations of this phenomenon (scroll down to ‘Editor’s note’) without coming down in favour of any particular explanation. Here at The Volcanism Blog we’ll have more to say about this image tomorrow next week (been very busy, sorry). 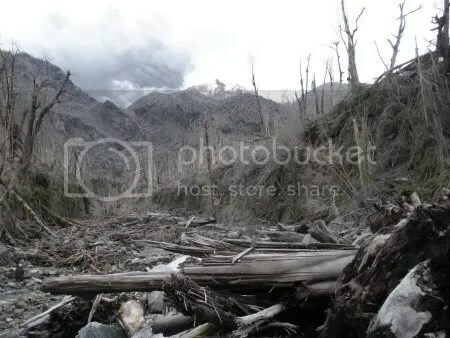 Posted by admin in Chaitén, Chile, eruptions, volcano images. The novelist Karen Dionne has recently been in Chaitén, where she has been researching her new novel Boiling Point (she has a blog here about her time in Chaitén, including many images and videos). Karen was kind enough to send The Volcanism Blog the following pictures, giving a vivid impression of what it’s like to get close to the volcano. Karen’s guide on this trip was Nicolas La Penna, who has himself provided us with some wonderful Chaitén images in the past. These pictures were taken on 26 April 2009. You can read more about Karen Dionne’s time in Chaitén, and see some affecting images of the abandoned town, in an article she has written for The Huffington Post: ‘Chaitén volcano – one year later’.